October 16 is National Bosses Day, yet less than 40 per cent of employees report they have any reason to thank their boss. 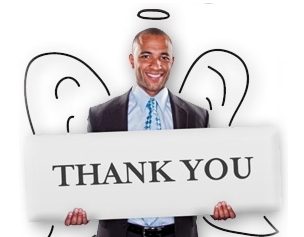 Do our bosses deserve to be thanked? With almost one out of every four bosses found to lose their temper at the office with employees describing them as “unpredictable”, “control freaks” and “narcissists”, perhaps most bosses don’t deserve any appreciation on National Bosses Day. Personally, I believe that there are very few genuinely bad bosses, but rather an abundance of bosses who are bad at their jobs. Most bosses don’t want to leave people feeling demeaned, disrespected, and de-energized – it’s a terrible way to run a business. Yet most bosses are also never offered the knowledge, skills or experiences they require to succeed in their job. This certainty doesn’t excuse their horrible behavior, but it does offer us hope on National Bosses Day that by understanding what drives our bad bosses we can more positively impact our future. 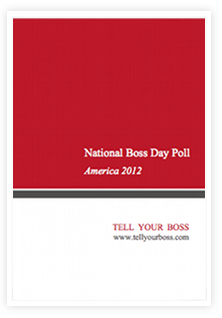 What will you do on National Bosses Day? At the end of the day we all have a deep psychological need to be respected, valued and appreciated – even your boss! So this year on National Bosses Day your first act should be putting on your gratitude glasses and seeing if you can find anything your boss has done recently worthy of some positive feedback. After all three out of every four people report their boss is the most stressful part of their job, so if there is anything at all your boss is doing right it’s worth being grateful about. That might seem like a big request so if you’re feeling reluctant about doing this for your boss on National Bosses Day, then do it for yourself as well. Practicing appreciation and gratitude is a kind of mega strategy to improve our levels of positivity and our relationships at work. It opens our heart and urges us to give back – to do something good – helping to improve your relationship with your boss. It dissolves negative feelings, builds your sense of confidence and helps to manage stress. You don’t need to buy a gift or take your boss to lunch for National Bosses Day. Simply say thank you and be clear about what it is you appreciate, so they know to do more of it. If you can’t genuinely thank your boss then use National Bosses Day as an opportunity to improve your relationship by telling them what your strengths are – the things you like doing and are good at – and suggest new ways to use these in your job. Only two out of every ten people get to use their strengths at work each day. Yet when you do it’s a win-win outcome for you and your boss as studies show you’re likely to be six times more engaged in your work and you’re level of satisfaction with life can triple. Finally, if you can’t do either of these then use National Bosses Day as a time to get real about what you’re putting up with. It takes most people 22 months to rid themselves of a bad boss and during this time the constant stress and negativity can undermine our performance, damage our health, destroy our relationships and leave us feeling depressed and anxious. The good news is there are 24 proven, practical ways using positive psychology – the science of wellbeing – that you can use on National Bosses Day – or any other day – to create win-win outcomes for you, your boss and your organization. Together we can build a world of better bosses. It just takes one small action on National Bosses Day to move us in the right direction. What action will you take?